Artificial grass is one of the best ways to create a lush green lawn in your front or back yard, without the maintenance, mowing or water usage. One of the greatest benefits of using artificial lawn in your garden is that you can really get creative with its shapes, patterns and usage throughout your spaces, and it can even be used inside as a cool feature for your walls and floors, particularly in kid’s spaces. 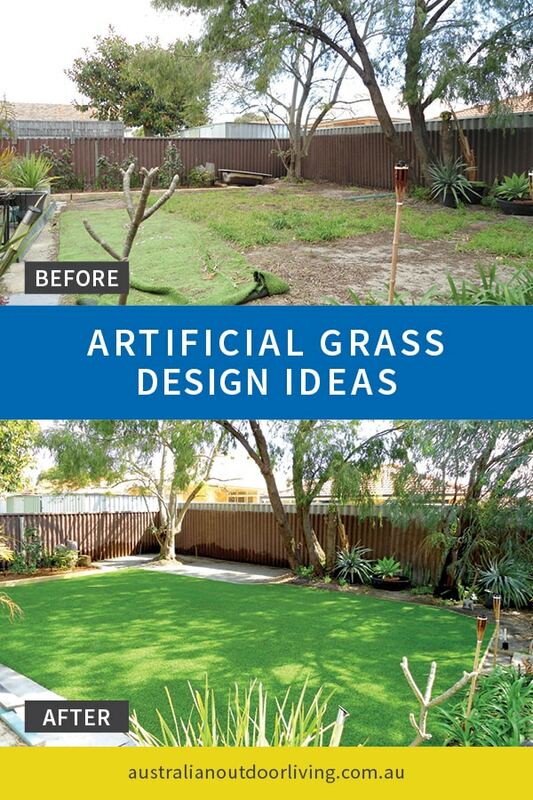 Check out a few of the trends we’re seeing in the ever rising use of artificial grass! Artificial grass allows you to make some eye catching patterns. 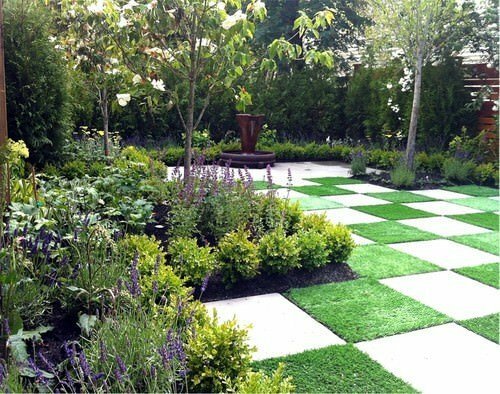 One of the best things about artificial grass is that you are completely in control of where you place it and it will never grow out, meaning you can make some eye-catching patterns by mixing your grass with tiles, playing with shapes and angles. 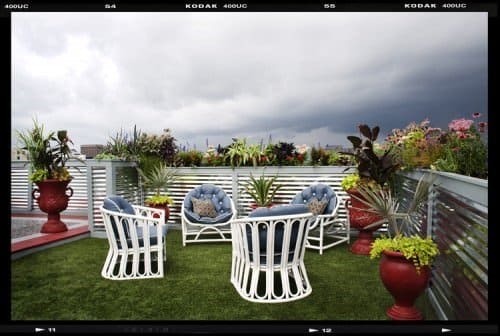 Artificial grass looks great on roof terraces and balconies. Using artificial grass on balconies gives colour to the area. 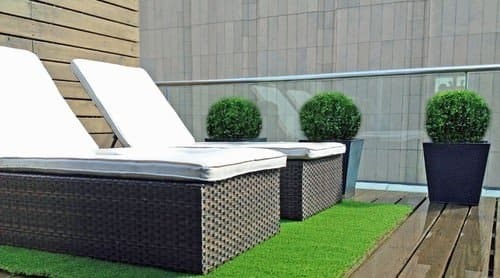 A huge trend in the use of artificial grass is placing it in areas where you wouldn’t expect grass to grow – and roof top terraces and balconies are becoming ever popular places for artificial turf! Using artificial lawn on your balcony or terrace gives an immediate pop of colour, while also softening the space and making it feel a bit more tranquil! 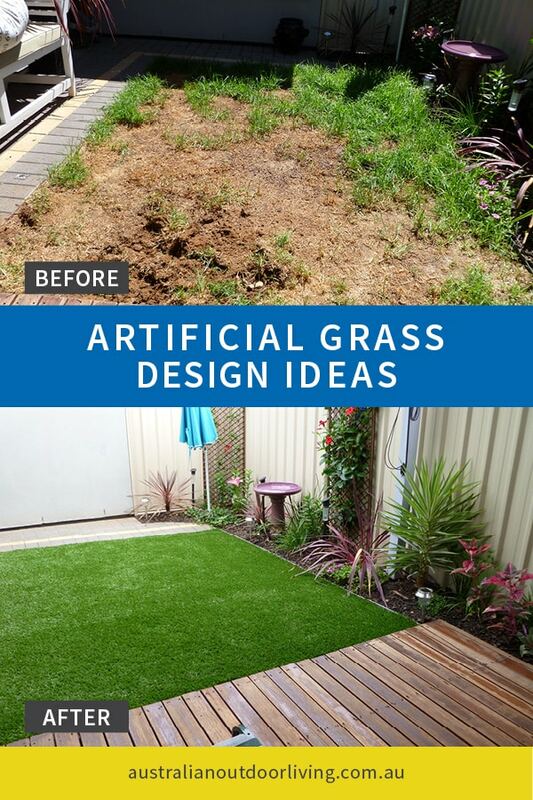 Artificial grass is becoming popular as carpets or rugs. Artificial grass doesn’t have to be square in shape. Artificial grass doesn’t just have to be an entire or partial floor covering, nor does the shape have to be square. 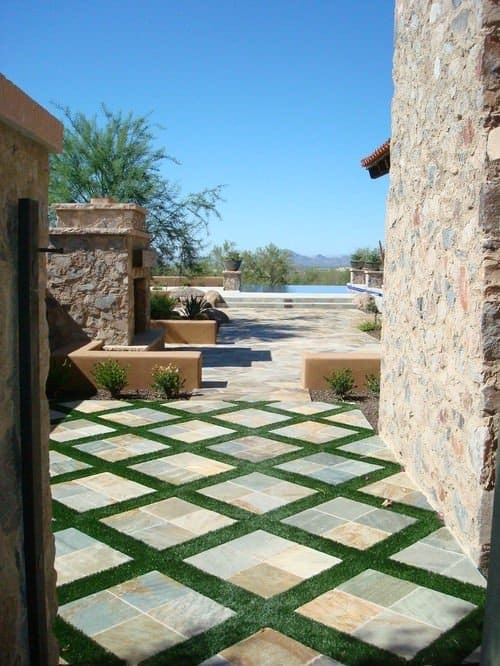 We’re now seeing a lot more people using their synthetic grass as a carpet feature in both indoor and outdoor spaces. We love how the grass complements both the sitting areas above, particularly how the curved carpet suits the bubble styled ceramic chairs to a tee! 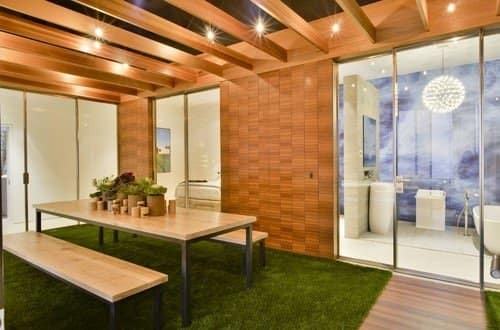 Artificial grass can be used to dress up kids spaces. If you want to create a unique space for your kids to learn, grow and explore, than artificial grass is also suitable for use inside your home as a floor and wall covering. 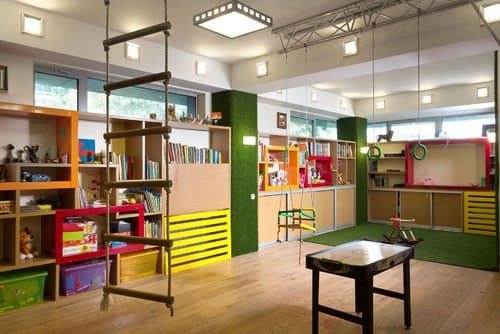 We love the indoor playground look of the creative space above, and can imagine children loving the feel and texture of something more unusual in the space, with the grass probably inviting a lot of inquisitive questions! Use artificial grass to create your own sports pitch. The way you play backyard sports will be changed forever with artificial grass. A soft, lush lawn is the perfect surface for cricket, soccer, rugby or AFL, and a great afternoon with the entire family getting active. 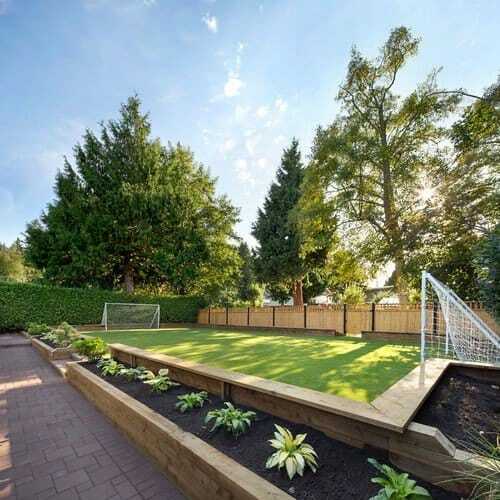 We’re a little bit obsessed with the way artificial lawn has been used to create a raised soccer pitch in this yard! If you’re ready to explore your options and get your artificial lawn installation underway, view our synthetic grass product brochure or get in touch with us for a no obligation free measure and quote!